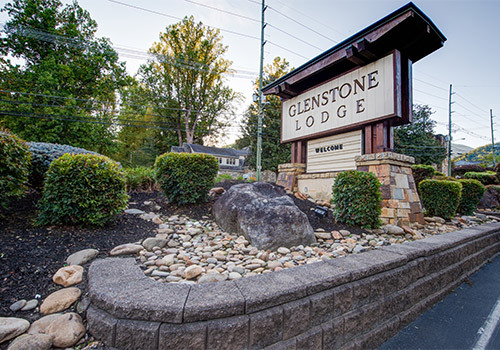 Glenstone Lodge is set in the heart of Gatlinburg within walking distance of all of the best attractions, shops, and restaurants. 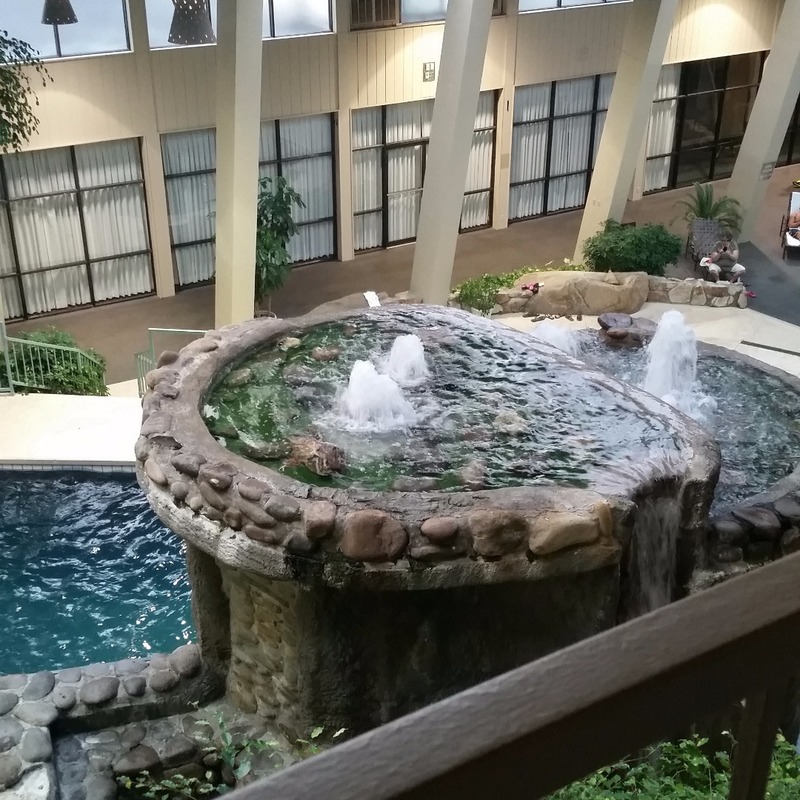 Features include ATM/banking, business center, children’s pool, indoor & outdoor pool, hot tub, free Internet access, meeting facilities, picnic area, RV and truck parking, sun deck, wedding services, and smoking & non-smoking rooms. 0.4 miles from the entrance to the Great Smoky Mountains National Park. Buffet breakfast available for a fee. 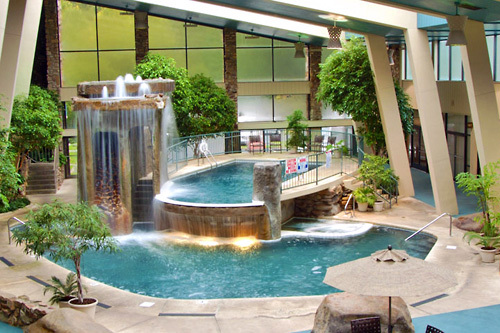 Bi-level indoor pool with a waterfall. Select rooms have balconies and microwaves. All rooms have flat screen TVs. Located in the Great Smoky Mountains, Glenstone Lodge features a great location, phenomenal views, and abundant amenities. 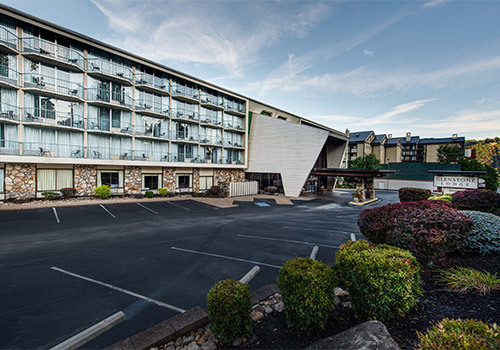 The Glenstone Lodge is set in the heart of Gatlinburg, within walking distance of all of the best Gatlinburg attractions, shops, and restaurants. 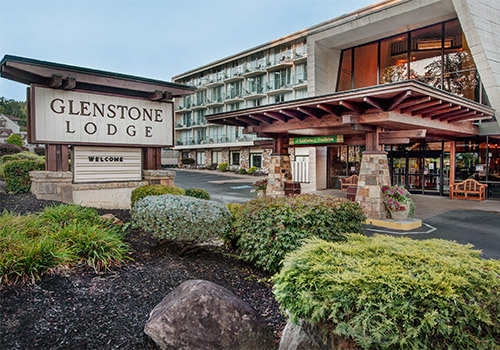 Glenstone Lodge is also located near the Great Smoky Mountains National Park which features swimming holes, hiking trails, and even a Historic Motor Nature Trail. 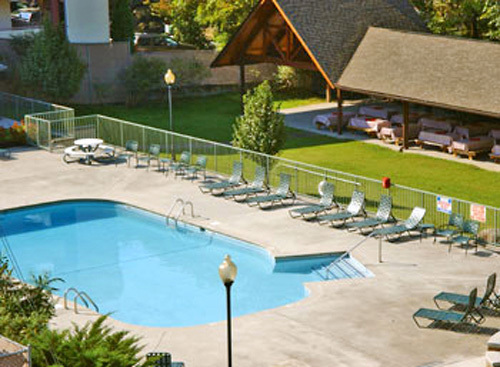 Glenstone Lodge offers accommodations to suit all needs and budgets. Whether it’s a large King or Double queen bedded room, you’ll find the space you need with a price that you can easily afford. 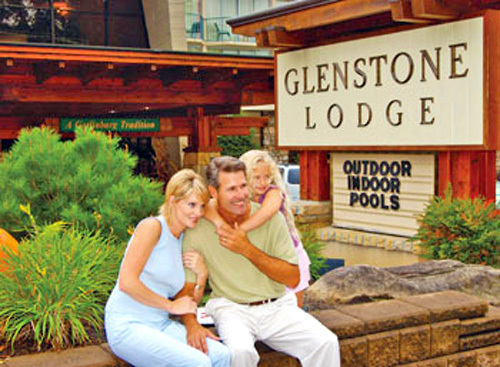 If you’re planning a Gatlinburg family vacation, Glenstone Lodge also offers large Suite accommodations that will fit the entire family. All of the rooms at Glenstone Lodge feature in-room coffee-makers, comfortable beds, and 90% of rooms at this Gatlinburg hotel are smoke-free. Glenstone Lodge also provides free parking. 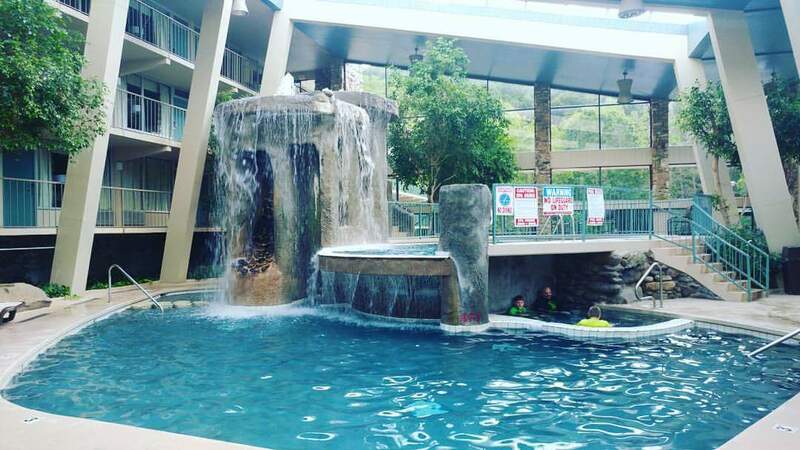 Glenstone Lodge is one of the best Gatlinburg hotels for visitors who are ready to experience all that Gatlinburg has to offer. 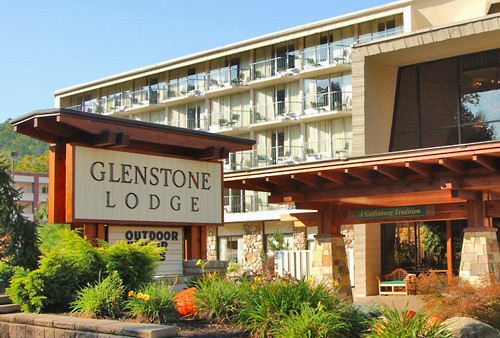 Glenstone Lodge is just a short distance away from fantastic attractions and destinations including fishing, golfing, biking, horseback riding, skiing, shopping, a AA baseball team, and theme parks! 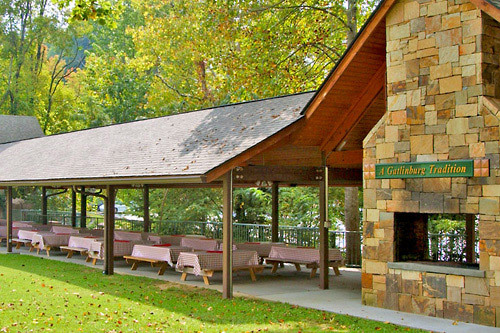 Glenstone Lodge offers free parking, so leave your car and hop on the Gatlinburg Trolley (which stops right at the hotel) and head into Gatlinburg to get the fun started! How many rooms are available at Glenstone Lodge? 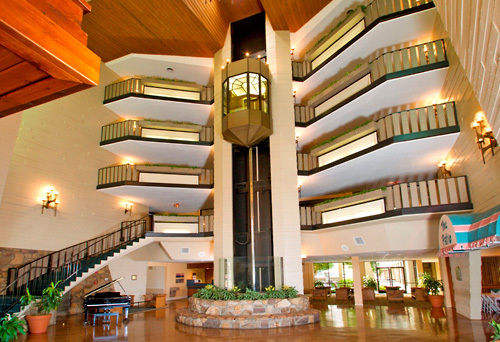 There are 214 rooms are available throughout at total of 5 floors. There is a restaurant in the hotel – Patio Restaurant – which serves breakfast daily. The charge for the breakfast buffet is $8.95. During which hours is the breakfast served? Breakfast is served from 7am-11am. Items on the buffet include fresh fruits, omelettes, bacon and sausage, home fried potatoes, biscuits and gravy, eggs, pastries, cereals, and drinks. What is the minimum age required for check-in at Glenstone Lodge? There is no resort fee at Glenstone Lodge. Is there a charge for rollaways or cribs at Glenstone Lodge? Rollaway beds are unavailable in guestrooms with two queen beds. Pack ‘n Plays are available on a first come, first serve basis. What are the pool hours at Glenstone Lodge? 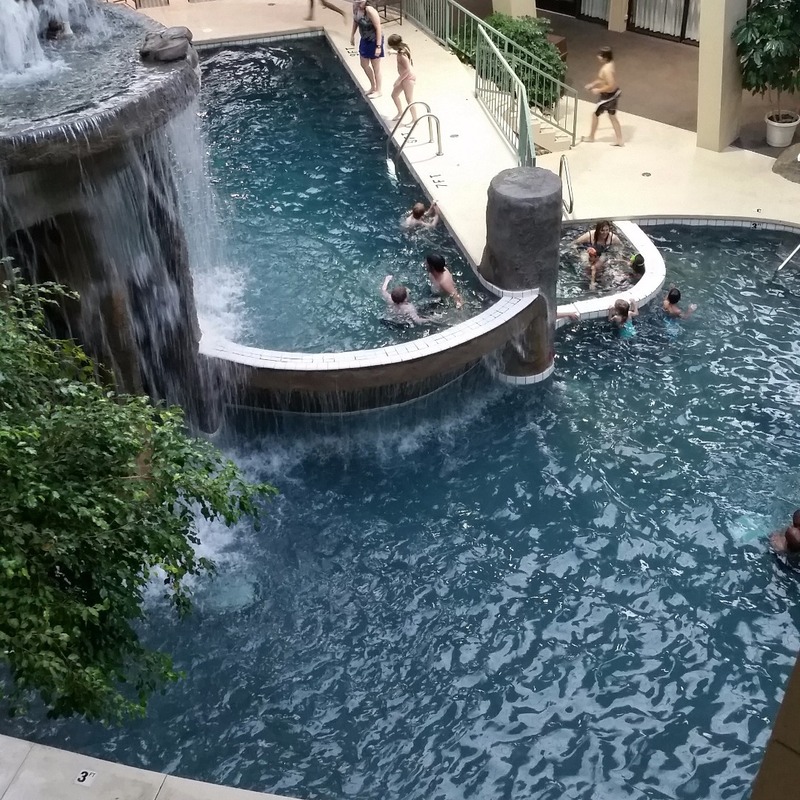 The indoor pool is open from 8am-10pm. Free Wi-Fi is located throughout the hotel. Glenstone Lodge has a few smoking rooms available, but is largely a non-smoking property. Is Glenstone Lodge on a trolley stop? There is a trolley stop within walking distance of the hotel.